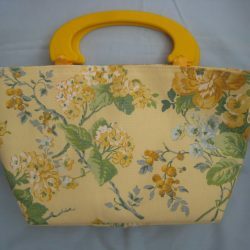 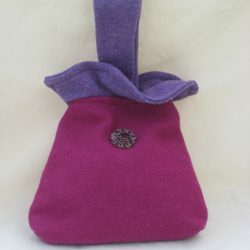 A very pretty small handbag for the summer or special occasion. 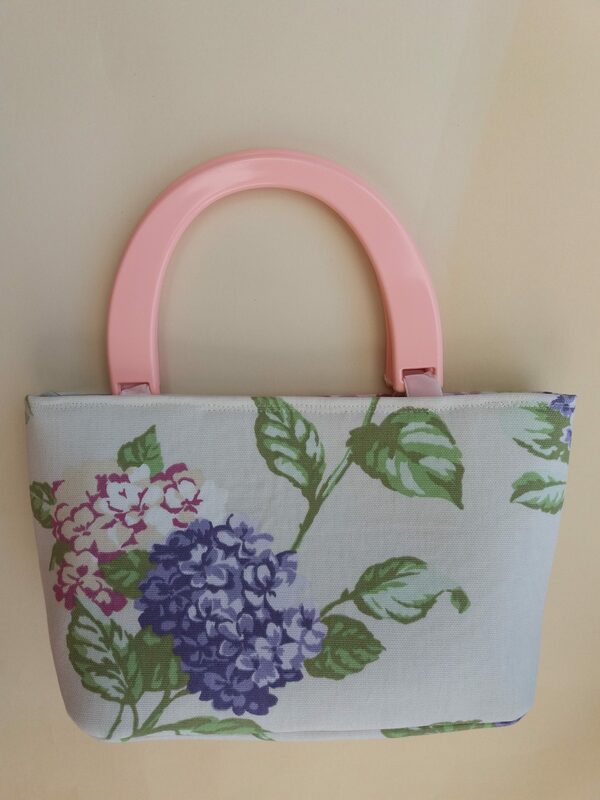 Made in cream linen with pink & Blue hydrangea design. 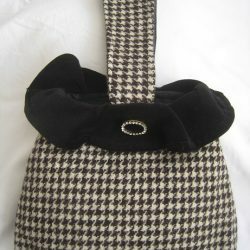 Fully lined in pale grey satin with a pocket and magnetic clasp fastener. Handles are pink acrylic. 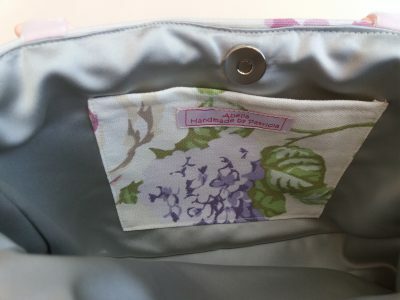 Second photo shows inside of bag with pocket. 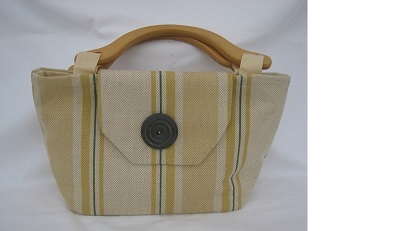 Size: 11.6″ (29cm) W x 7″ (18cm) H. Handles: 6.7″ (17cm) w x 4.75″ (12cm) H.